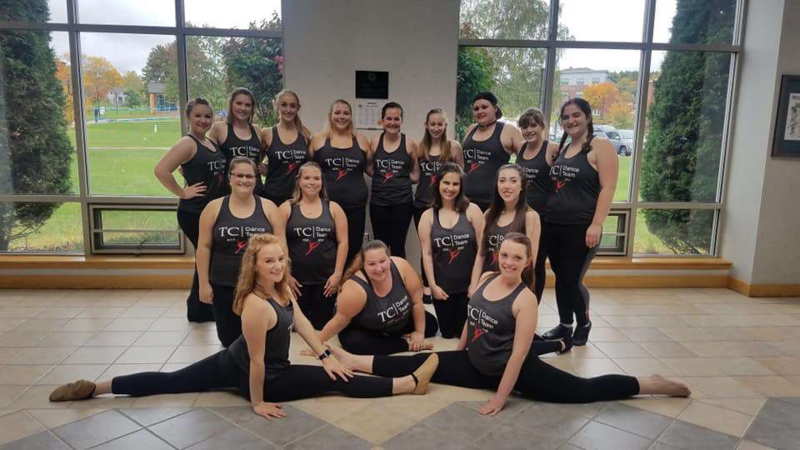 Kerri L Abbott, Jose Antonio Afonso Luis, Jocelyn Alex Allain, Lindsay Michele Allen, Michaella Joy Arsenault, Kerriarna Mae Asselin, Ryley A Austin, Faith Marie Beaulieu, Keileigh Alicea Belanger, Caitlyn R Biegon, Joshua Dustin Biondo, Shenciaray A Black, Nicole Mancenette Bodge, Scott M Boies, Katrina M Booth, Megan A Boucher, Nicole Elise Bradstreet, Christopher Earle Brown, Shylyn Rae Buckman, Nicole L Burgess, Joshua James Callnan, Mariah Iva Campbell, Noah Joseph Caret, Jonathan K Carter, Nathan Scott Chamberlain, James Nathaniel Cheleuitte, Samantha Abigail Cleaves, Sydni C Collier, Patrick Colligan, Emma Julia Elizabeth Cote, Caleb Aaron Cough, Guiseppe Antonio Creta, Jaime M D’Errico, Elise N Day, Spencer Ann Desimone, Emma N Dimock, Zachary J Ebner, Travis Dakota Emerson, Jennifer Estrada, Ellie May Fetzer, Miranda Elise Gagne, Zachary Dennis Gagne, Hannah P Gagnon, Samantha Geer, Mathew R George, Miranda M Gerard, Glory Gomez, Kyle Zachary Greene, David Michael Grenon, Samantha Marie Grimaldi, Sabastian, Dante Gabriel Guptill, Ryan C Hablitz, Sara Marie Hailand-Van Lieu, Dylan Allen Hallett, Kayla May Hamilton, Skyler Graham Henry, Elise Margaret Holly, Chelsea Renee Hubbard, Sidney Hurst, Autumn Christina Jackson, Baramee Janla, Kelsie Rae Jardine, Lia Gabrielle Johnson, Jessica Nicole Kahigian, Leah Brooke Kruse, Jayson Josey Kuhn, Kristin Jessie L’Heureux, Cabot Andrew Lancaster, Amanda V Landry, Alexis Lane, Aleigha Sara Langtange, Jacob R Lavarnway, Alexander Michael Lawson, Mark R Linkletter, Cameron David Loeschner, Jonathan James Longfellow, Kayla Amy Maheux, Kyle Isidore Marquis, Bradley J Marshall, Daniel M Martin, John D McCarthy, Emily Marie McKenney, Samantha Ann Mercier, Gabriel Hamilton Merrill, Austin James Meyer, Olivia T Mora, Lindsay Leigh Morong, Calyx Rose Morris, Jonathan Silas Morse, Julia A Nadeau, Christo Apostolos Naranja, Steve David Nelson, Oliver Dominic Emerson Newbury, Michael Nicolosi, MacKenzie L Oberholzer, Brianna Lee Parker, Nathan M Philbrook, Cassidy Gene Pinkham, Anthony James Pizzo, Lauren Michelle Poirier, Brian Lee Pomeroy, Daphne Lyn Pratt, Danielle Daisy Provost, Ariana J Quimby, Tanner R Ramich, Tyler L Regan, Stephen Michael Reid, Courtney Elizabeth Rhoten, Jayne L Rossignol, Jasmine Elizabeth Rouillard, Kaitlyn Meagan Rourke, Megan T Ruby, Richard Jensen Schmitt, Divine Selengbe, Taylor Loran Sheley, Amber Whitney Smith, Samuel Aldon Smith, Kayla Alexis Spencer, Quinton Reed Stebbins, Tabitha Ann Stephenson, Savannah Pamela Stevens, Matthew Gordon Strout, Alexander Douglas Tait, Michael S Tardiff, Kathryn Elizabeth Taylor, Haley Yvonne Thebarge, Christopher Steven Tosi, Tyson Louis Tracy, Mason H Travers, Megan E Tribuzio, Jordan M Turner, Katherine Frances Van Houten, Tracie Marie Webster, Cassidy L West, Melinda R White, Isabel Dawn Wildflower, Cheyenne A Williams, and Jacques A Wiseman. Hunter Allen, Kimberly R Banks, Arynne K Barns, Kendra Michaela Bell, Kaeleigh Frances Benson, Nichola M Berry, Kayla A Bess, Jared Micah Bornstein, Jordyn Mariah Buck, Sophia Ann Calandriello, Sarahjane Delancey Call, Emanuel Anthony Carlista, Makenzie B Carlow, Carli A Carter, Jodi Rae Casavant, Kayla Brooke Chapman, Samantha Lee Charette, Ryan Marc Chasse, Alexandria Clark, Molly A Clevette, Kayleigh Victoria Clinch, Katlyn Christy Coulter, Matthew S Crane, Scott B Cunningham, Skylar May Delaware, Casey T Descoteaux, Mackenzie M Dobson, Jeffrey L Douthwright, Jonathan M Dutka, Tristan D Emery, Paul Edward Emmons, Lauren Marie Farina, Kelci Dale Faulkingham, Thomas Steven Fregeau, Cassidy Aline French, Lillian Friars, Robin M Friend, Samantha Claire Friend, Taznae L Fubler, John Cahill Gallagher, Ashley Gooden, Tyler Austin Goodridge, Tyler Charles Gray, Belinda J Green, Samantha Paige Greenlaw, Bradley Raymond Griffin, Mason D Griffin, Angela Nicole Guy, Emily Faith Guy, Corey Michael Harvey, Ryan M Hemenway, Emma A Hodgdon, Morgan Hutchins, Taylor Lynn Johnson, Samantha Pearson Jordan, Alyssa Catherine Joubert, Ryan M Jurgiewich, Kayla Marie Kenney, Kenneth J.C. Kozlowski, Jocelyn M L’Italien, Tyler L LaCascio, Sydney Brynn LeBourveau, Brogan Genevieve Leppanen, Baxter Bryce Levasseur, Haley C Littlefield, Timothy A Martincic, Ceara Lynn McDonald, Joseph Matthew Meehan, Patrick Dolan Meyers, Teagan Miller, Emily Judith Mitchell, Ross Stieg Munn, Samantha Alexis Murphy, Nicholas James Murray, Madyson Taylor Noyes, Colleen Rose O’Brien, Viola Atto Ogak, Colby Jeffery Pangburn, Ashlyn K Parker, Caulin Richard Parker, Nathan Richard Paul, Kaleb J Payson, Alexis Kimberly Pevear, Krysta D Porter, Nicholas Evan Priest, Brandon L Reynolds, Jasmyn Rogers, Elizabeth Marie Rumery, Jessica L Russell, James Bryan Sargent, Austen Christian Schutte, John Derek Shirk, Taylor M Sinclair, Nolan Christopher Smeeton, Dylan M Smith, Julia E Smith, Keegan C Stockford, Meghan Elizabeth Stover, Maddie Lincoln Strout, Zachary Brian Sukeforth, Keisha Leigh Tanguay, Tyler Anthony Trice, Devynn Idela Turner, Joshua A Vance, Hailey D Vanier, Ciara M Walker, Ireland M Webb, Johnathan Stanley Wilcox, Joshua Sherman Wing, Troy William Worster, and Annie Taylor Young. Devon E Davis, Robert Jameson Dehmer, Matthew Glen Deveaux, Hannah P Doble, Walker A Donovan, Korey L Doolan, Travis Austin Drapeau, Kelsey L Dubay, Nicholas P Dufour, Joseph G Dulac, Roberto David Duran, Karissa Anne Ewing, Sadie Elizabeth Farrand, Kyle K Fletcher, John R Flores-McKenna, Caleb D Furrow, Tyler Kevin Gee, Alexis A Girouard, Anna E Grant, Jordan M Greenleaf, Allie Theresa Gregoire, Ryan Matthew Guevin, Lauren Rebecca Guppy, Nicholas Daren Hagan, Cheyanne Lynn Harden, Harry T Heald, Kyle Robert Heatley, Storm H Hebert, Shaw Michael Henderson, Nicholas Aaron Holt, Amanda Elaine Hooper, Connor Mathew Hope, Matthew Thomas Jolicoeur, Daniel Thomas Jordan, Kate Elizabeth Jordan, Amelia Jane Kelby, Payton James Kennison, Adriana Annedore Killam, Alex Edward Knight, Paul Winslow Knowles, Shannon Eileen Kostovick, Darrian Joy Leonardi, Alexandria Grace Lopes, Zachary Michael MacKinnon, Wade Alan Mason, Hannah Jo McGlashing, Colby Rene McPherson, Trystan Paul Mercier, Kolbe N Merfeld, Noah R Michaud, Nicholas Paul Milne, Joshua A Morgan, Hailey Anna Mullen, Brynn EA Patenaude, Tyler Allen Pellerin, Leah E Pouliot, Pavana Rai, Arielle Marie Rivard, Caleb R Roy, Isaac William Salisbury, Jada D.Z Samuels, Michael Vincent Sanzari, Meagan Nicole Sather, Ryan C Scepansky, Jennifer May Snedeker, Alexa Stigman, Chiara Marie Stone, Karli Paige Stubbs, Matthew Brock Tarr, Taylan James Thomas, Chase Emile Turgeon, John Henry Villanueva, Kody Everrett Vining, Alexis Janet Washburn, Anthony Maurice Watkinson, Katherine Irene Welch, Cassandra M Wescom, Josh V Wescott, Meredith P Wheeler, Zachary Anders Wood, and Oliver Alexander Woznica – Coulombe. 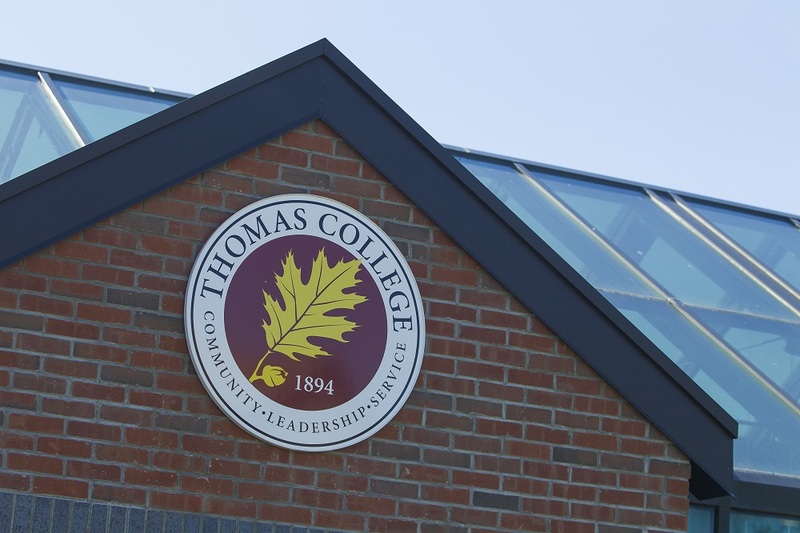 About Thomas College: Founded in 1894, Thomas College offers undergraduate and graduate degrees in programs ranging from business, entrepreneurship, and technology, to education, criminal justice, and psychology. Its Guaranteed Job Program, the first of its kind in the nation, is built on students’ academic, career, and leadership preparation. Thomas is also home to the Harold Alfond Institute for Business Innovation and the Center for Innovation in Education. 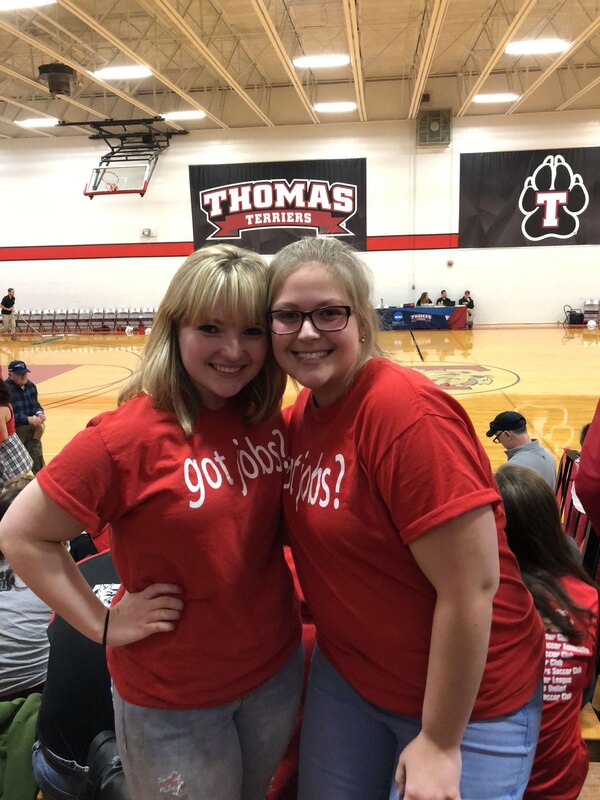 Money Magazine recently ranked Thomas 23rd in the country for adding the most value to their degrees, and data reported by the New York Times ranks Thomas in the top 15 percent of all college and universities in the U.S. for upward mobility of its graduates. For more information, visit www.thomas.edu or contact MacKenzie Riley at rileym@thomas.edu or 207-859-1313.